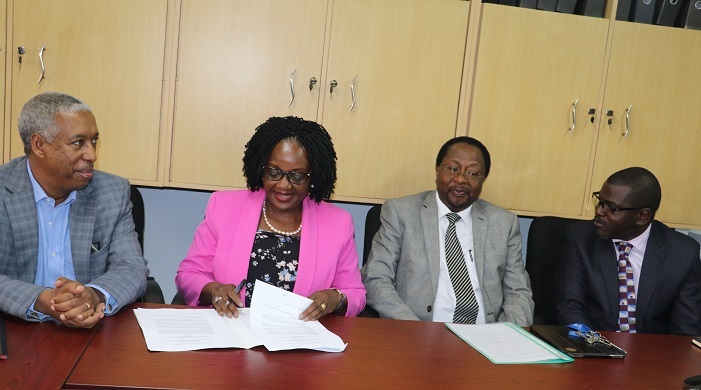 MAKERERE – Makerere University School of Public Health (MakSPH) on has signed a Memorandum of Understanding (MoU) with the World Health Organization (WHO) to strengthening the relationship and providing an organized framework of collaboration (on institutional basis) between the two parties. The agreement is the first of its kind between WHO and MakSPH. In Uganda, MakSPH is the leading institutions in public health research and training. The two parties will collaborate in the following areas; planning and implementation of joint research projects between WHO and MakSPH in priority public health areas, including communicable and non-communicable diseases, health system strengthening. Others areas include; sharing information and knowledge between the two institutions, within acceptable institutional structures, supporting training and research programmes for the World Health Organization and Vice versa; and strengthening networking opportunities between the two institutions. 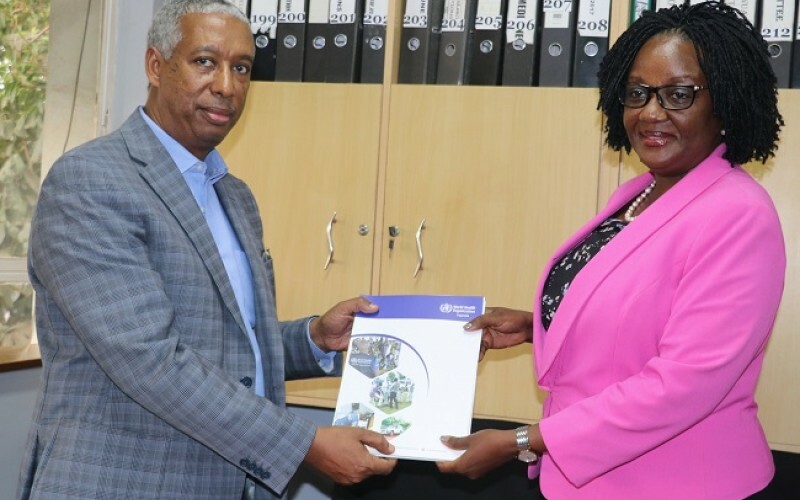 Dr. Rhoda Wanyenze highly commended the already existing relationship between MakSPH and WHO and looked forward to a fruitful collaboration between the two institutions. She also pledged to work hand in hand with WHO and Ministry of Health to promote the attainment of better health for the people of Uganda and beyond through Public Health Training, Research, and Community service. We have done good work with WHO and the Ministry of Health but it has been on an individual basis. Having a collaboration at this institutional level provides an opportunity to jointly identify the priorities in research, training and community engagement,” she said. The World Health Organization is a specialized agency of the United Nations that is concerned with international public health. It was established on 7 April 1948, and is headquartered in Geneva, Switzerland.